Pastor David Olubukola Ajide is a Visionary leader, an insightful teacher and author of several books. 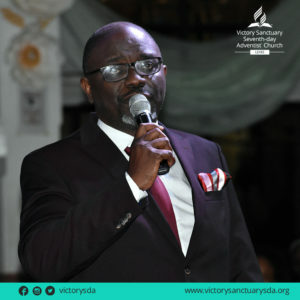 He is the senior Pastor, Victory Sanctuary Seventh-Day Adventist Church Lekki, Lagos, Nigeria. Pastor Bukky, as he is fondly called has the Vision of raising uncommon leaders who live out God’s covenant. His teachings unlock practical secrets that help you take full advantage of the covenant God already has with you. He is happily married to Debola who has a ministry to the youth. They are blessed with three children: Sorefunmi, Tanitoluwa and Jesuloba.